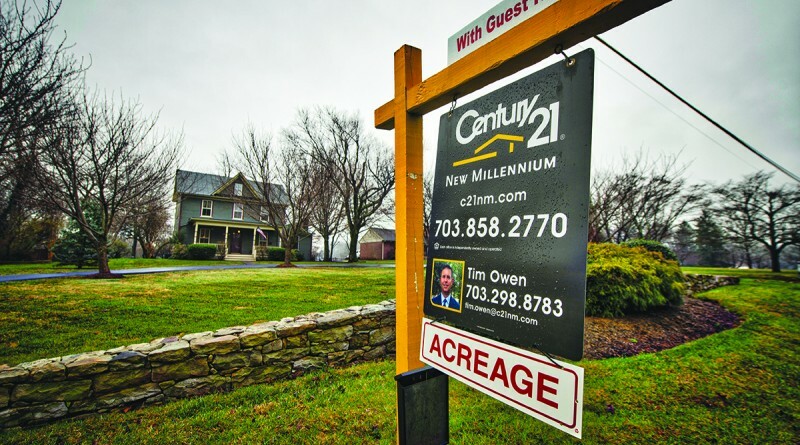 Housing resales in Loudoun County slowed last month, but not because demand is softening. According to a newly released report by the George Mason University Center for Regional Analysis prepared for the Dulles Area Association of Realtors, only 517 homes sales went to closing in September. That’s 146 fewer than in August and 2.5 percent lower than September 2016. Pending sales increased by less than 1 percent in the year-over-year comparisons. “This is a continued sign of low inventory suppressing sales, as prospective buyers find both limited choices and climbing home prices,” according to the report. Last month, there were 1,405 active listings in Loudoun, the lowest September inventory total since 2009. Inventory has declined each year since a high of 2,291 in 2014. The decline was 15.9 percent this year. Sales inventories declined for the 27th consecutive month across the county. The sharpest decline was in Sterling’s 20164 ZIP code. There, inventories dropped 36.7 percent since last year. After a spike in August, the number of new listings declined last month. A total of 686 new homes were put on the market in September, down 6.8 percent from a year ago. “The erratic change in new listings from month to month signals little long-term relief from the market’s consistently low supply of homes,” according to the report. That tight market has had a marked impact on prices. The median home sales price in September was $462,000, a 5 percent increase over last year. It was the highest September median sales price in more than a decade. It also means homes are being snapped up more quickly. Half of the September sales listings staying on the market for 16 or fewer days. Last year the median days on the market was 22 days. In Ashburn’s 20146 ZIP code, half the homes were sold within eight days of listing. Homes in Purcellville’s 20132 ZIP code continue to be the “slowest” sellers, at 29 days, but even that is a quicker pace than 2016’s 42 days. House prices are highest in the Rt. 50 corridor, with Aldie’s 20105 ZIP code registering a median sales price of $625,000, up from 460,000 just a year ago. The lowest prices can be found in Sterling’s 20164 ZIP code, where the median sale was $368,000 in September, a 7 percent increase over last year. Sales prices dropped in the Chantilly and Purcellville areas.